What is a social media campaign and how to ensure that it turns out to be a successful one? Unlike regular social media posts, a campaign is a series of update/post which runs for a week or a month and they can be either newsletters, contests or interactive posts or even teasers. Have you been thinking about creating a social media campaign for your brand? When it comes to deciding a campaign idea, the first thing that matters is identifying specific goals. Goals that help you adjudge a key performance indicator (KPI), which is a necessary trait for measuring a social media campaign. KPI helps to you to know how the campaign is performing in accordance with the goal set for your brand. Whether you have planned of a campaign for introducing a new product or a service or simply about brand re-launch or startup announcement, make sure you have a specific and a killer strategy in place. 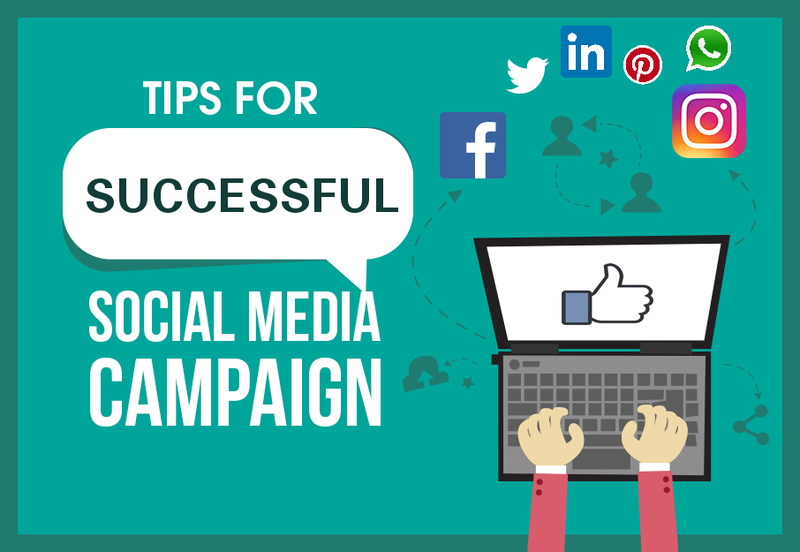 As a social media executive, you need to keep in mind that since the campaign is about creating buzz and awareness, you need to decide the right timing for campaign go ahead. Make sure you have an organized content ideas, concept and the right tools for certain social media posts. Without a doubt, a social media campaign that is planned in alignment with a strategy has a bigger chance of succeeding. This can make it a lot easier for you to generate curiosity, and momentum for your brand. Once deciding content and concept ideas, it’s time to note down in your editorial calendar. The social media calendar allows you to plan content for the dates when it would be posted, so that there are so goof-ups. Content planning will save your time and keep your social media team aware of what content is planned, thus enabling you to elevate the success rate. Preparing an editorial calendar is easy as it can be done on free templates or Google Drive Spreadsheets. There are also free customization templates available on Google. When running a campaign, map your target audience on factors like demographics, interests, likes and dislikes. In addition, call-to-action is equally important as it enables users to know what should be the next step when they see your ad. You can also think of running a pilot campaign in order to test targeting options and get clarity on communication. Your campaign should involve customers and get them excited through paid likes for creating a buzz. They are the ones who will interact with your brand out of curiosity. As part of your campaign strategy, you can ask interested audience to share your promotion on their social media page or announce some giveaways to compel them for promotions. Are you ready to set up a social media campaign? Use these tips to strike a conversation with your audience and engage with them to help your business grow. Campaigns are successful when you have a unique concept that is backed by strong content and creative. Keep experimenting with your strategies, you never know which one would work out well on social media platforms. Futurescape Advertising has a vast experience in setting up successful social media campaigns that capture audience’s attention. Contact us to find out more about our social media marketing expertise.